When you have to cut down a tree, or a tree finally falls apart due to age, disease or drought conditions, it’s not as easy as just making a cut and having the limbs and trunk cut up and having it hauled away. Even if you cut the tree off at the ground level, you’ll still have a stump to deal with that won’t just go away on its own.Tree stumps are often bigger than you would expect them to be, because once the tree is gone, you have a void in the yard with nothing else to show for it. When the tree is gone, suddenly the stump seems much more unsightly, because the eye is drawn right to it, especially in an otherwise well cared for and manicured yard space. The stump can also be a problem in a yard because after a while, the grass around it may begin to grow up and around the space around the stump, causing a tripping hazard. This is unsafe if you spend any time in your yard, if you have animals or if you have children who may not always be on the lookout for the stump. 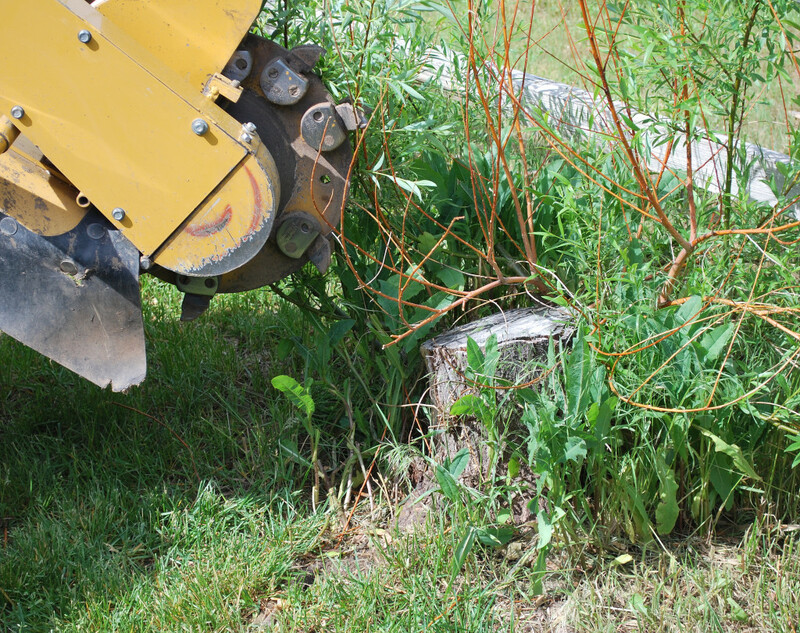 When you have tree stumps left in the yard, it may do away with your ability to use the space in the most ideal way. If you want to plant a garden or have nice plush grass, the tree stump is going to interfere with your plans. Not only will you likely trip on it as you plan out your outdoor space, you will likely find that things do not grow nearly as well around the stump as you would like it to, or you may have odd growths off of the stump over time as the tree attempts to regenerate. If you have had to have a tree cut down, you don’t have to deal with an unsightly stump forever. Instead, the stump can be ground so that it is no longer visible, and you’ll have your yard space back free of a huge tripping and safety hazard. We have the equipment, the skill and the experience to grind your stump down with relative ease and we would love to help you out. Because of the heavy duty equipment that we have, we can have the stump ground down in a very short period of time, and we won’t tear up the area around the former stump, either. 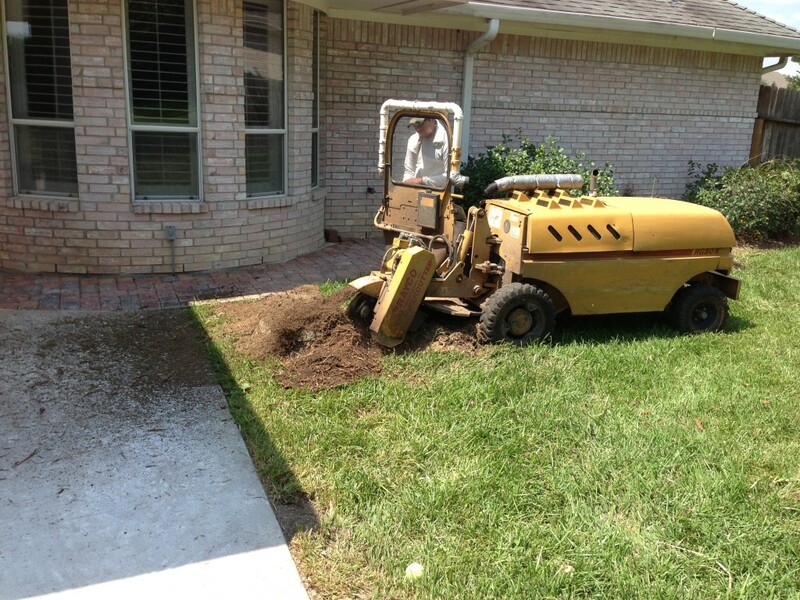 We will help you take care of the problem, while ensuring the integrity of the rest of your lawn space.